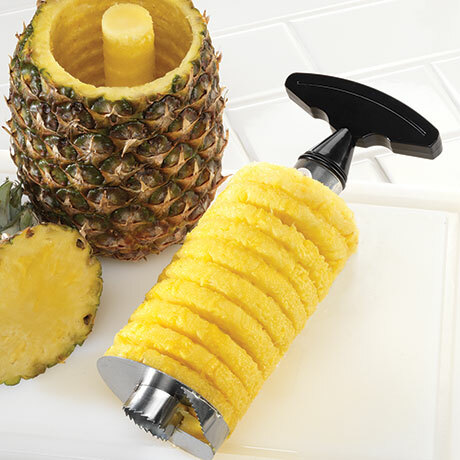 Easily cores and spiral slices a fresh pineapple with a gentle twisting motion. Fully disassembles for easy cleaning. Dishwasher-safe stainless steel with sturdy, plastic handle. 9-1/2" high.